Eight more things Gov. Gary Herbert is unaware of besides a $13 million “settlement payment” to a losing I-15 reconstruction bidder. 8. 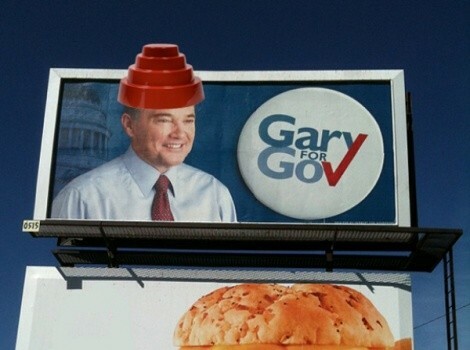 That his campaign billboards make him look like the lost member of Devo. 7. That opponent Peter Corroon is a cyborg sent from the future to destroy him. 5. That tax breaks for Cold Stone Creamery influenced the introduction of “Herbert Sherbet” in any way. 3. The recall notice on his SuaveDude 500 hairpiece. 1. That anyone pays attention to what Republicans do in Utah.